Happy Tuesday! I was one of the fortunate ones that had yesterday off from work. I spent the day enjoying some time outdoors and just relaxed after a busy weekend. If only we got three day weekends more often. I feel recharged and ready to tackle the week! It's been a while since I've shared a list of things I'm currently loving and I've got some good ones for you today! 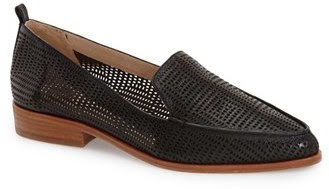 Starting with these Vince Camuto Kade cutout loafers. I purchased them a few weeks ago and debated on whether or not to keep them and I'm so glad I did. They have been on repeat at work. They are just easy slip on shoes that can dress an outfit up or down. And the good news...they are currently on sale! 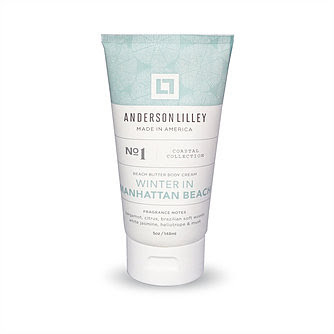 I'm obsessed with the way this Anderson Lilley Winter in Manhattan Beach Beach Butter Body Cream smells. I apply lotion every day after I get out of the shower, especially in the winter when my skin is dry. This lotion is thick but not suffocating and it smells heavenly. I've been on a shoe kick lately (no pun intended.) These Sam Edelman Synthia ankle strap sandals are another one of my latest obsessions. I've been wearing them out at night since the temps have been relativley mild. These will be great in the spring time as well. The chunky heels actually make them more comfortable. They come in a selection of colors but the camel color was my favorite. These are also on sale right now. I came across this Beach Lunch Lounge long sleeve button down and thought it would be a good staple piece. I couldn't find the exact one I bought because I got it from TJ Maxx. Mine is very similar to the one in the photo except the back of the shirt is a grey, soft cotton material. 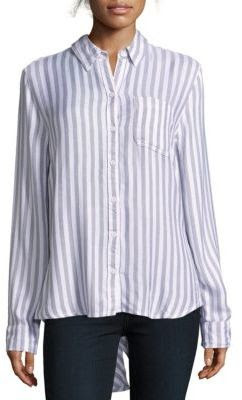 I thought it would be a great top for the spring with white jeans or jean shorts, but also something that could be worn to the office. I'm really glad I discovered this brand. They have a few other cute and casual pieces I wouldn't mind getting my hands on. 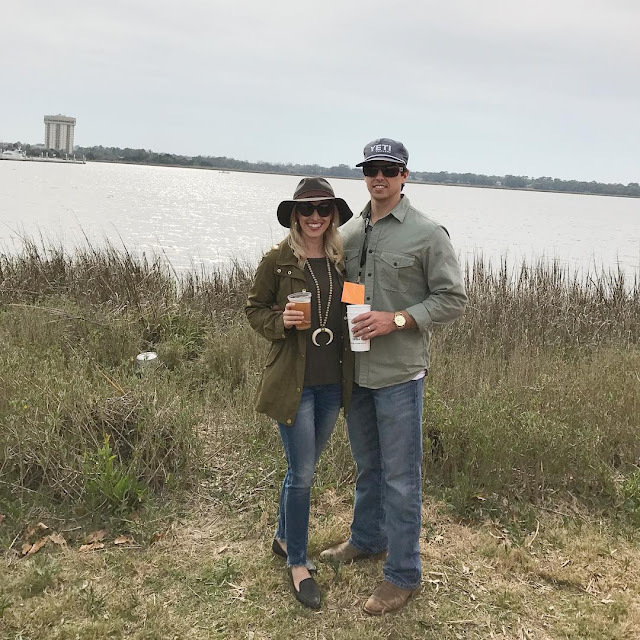 I was on a mission for a while to find the perfect frayed hem jeans. Finding jeans in general that are petite in length is always a challenge. I love the frayed style but I knew I had to find some that wouldn't need altering. After a few failed attempts, I finally found these BLANK NYC frayed hem jeans. They are super soft and comfy and are the perfect length. I originally found them at Nordstrom and they sold out fairly quick but you can get them here as well. Gold Hoop Earrings: Nordstrom (here). Those sandals are great. I can't wait to have bare feet again!!! Go away snow!